Brisbane is a perfect city to base your new venture. There is a great business culture, a vibrant CBD and lot's of great cafe's and restaurants to entertain your new clients. Unfortunately office rents can also be quite expensive and a decent A grade office in the CBD can set you back more than $400 per square metre. Setting up your new Brisbane office can cost an arm and a leg. Not only do you have to pay a deposit of 6 to 8 weeks on your new space but you will probably need to cough up some serious money for a fitout and some expensive office furniture. On top of this you will need to pay deposits on a range of utilities and internet connections. A far cheaper option by far is to go for a virtual office/address for your new Brisbane venture. A virtual address gives you many of the benefits of a physical office without having to outlay all that cash. You can make use of the address on your website, your marketing material, your business cards and brochures yet you do not have to pay the $400/sqm rent. You can also use your CBD address to register your Google Places location. So What Are The Benefits Of A Virtual Office? There are plenty, however here are 4 of the main ones. The money. Going virtual means that you have a significant amount more to spend on other important things like marketing. The cost of a mailing address is around 1% of the cost of going physical. You are not locked in to a long term lease. You can actually cancel at any time. This gives you the flexibility to try things out and to launch in different markets to see which ones work. You are not tied down to a physical location. When you spend all of that money on a physical office you feel like you need to be there. When you go with a mailing address you can work from anywhere that you want. People are impressed by prestigious addresses. Your customers are likely to take you more seriously when they see a Brisbane CBD address on your card rather than your home office address. What sorts of businesses use virtual offices? A huge variety of businesses use virtual addresses. We have many customers who are accountants, lawyers, consultants, entrepreneurs or designers. Most of these businesses would spend more time visiting clients than having clients visit them. What about when I need to actually meet with my customer? Our Brisbane CBD virtual addresses are located at our business centre at One One One Eagle Street. We also have meeting rooms available at this location so you can rent a meeting room (at a very reasonable rate) and meet with your client at your mailing address. We have 48 different locations around Australia. 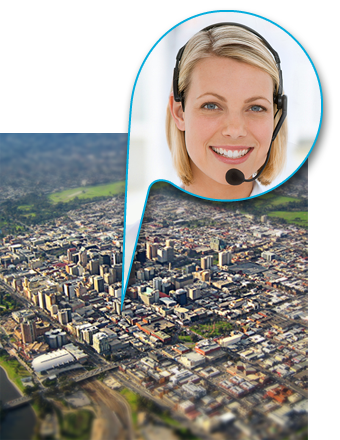 Our locations are not just in capital city CBD's but also in key suburban locations around the country. Why not go national and set up a location in each state! Our friendly customer support staff will be happy to help. You can call them on 1300 893 820.